The terrorist attack in Berlin by radical Islamist Anis Amri is flooding media outlets with continued questions about what authorities knew and when they knew it. 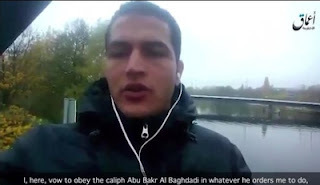 Amri was on German security radar, and his asylum claim was rejected over concerns he was radicalized, but somehow he managed to stay free and make a video pledging allegiance to ISIS before he crashed a truck into a Berlin Christmas market, killing at least 12 and injuring many more. The search for answers to prevent it from happening again requires solid data from reliable sources. We are consumed with obtaining the facts. As the layers of this case are peeled back and the process of drilling down on the facts of Amri's life occurs, we find more and more of what was already known, and we ask, did authorities miss something? We've heard these descriptions before. The Charlie Hebdo terrorist attack, the Paris/Brussels attacks, the Toulouse shootings in France, the Orlando nightclub attack, the Chelsea bombing, unfortunately the list goes on. The vast majority of the most recent vicious attacks carried out in the name of Islam against society share some of the same indicators. If the information was there, then what went wrong? In announcing the suspension of the program Justice Minister Jean Jacques Urvoas admitted the failure: "I don't use the term de-radicalization. I don't think we can invent a vaccine against this temptation" (Islamism). But France is not the only country that has attempted to come up with an program to prevent Islamic radicalization in prison and help rehabilitate those terrorists who have been successfully prosecuted and sent to prison. 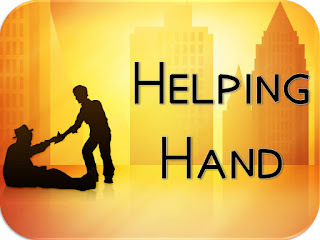 The social safety net was designed to give those in need a helping hand and not to give potential terrorists a hand out. 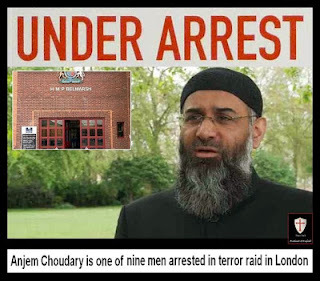 With the United Kingdom's successful prosecution of noted radical Islamic preacher Anjem Choudary for providing material support to ISIS, British officials are now faced with the dilemma of what to with him when he is sentenced September 6th. While he is sure to receive a lengthy period of incarceration, that may create even more problems for counter terrorism officials. In going to prison, he is not actually moving from the frying pan to the fire. A more appropriate analogy is akin to the fox in the hen house. 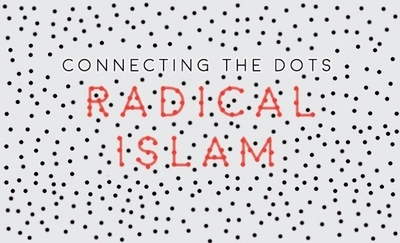 Anjem Choudary has spent the better part of 20 years preaching, proselytizing, and recruiting individuals to a radical form of Islam that encourages jihad as a necessary tenet of the faith. He has done it on street corners, mosques, and in front of television cameras. And like a sly fox, he avoided prosecution in the past because no direct contact between him and a terrorist organization could be proven until now. British authorities uncovered a video of Choudary pledging allegiance to ISIS leader Abu Bakr al Baghdadi. When he goes into prison, Choudary will have the opportunity to continue his evil work in an environment that guarantees him a captive audience of people who already have a disdain for government and a predisposition for violence. It is fertile soil. How successful will he be? We already know of his effectiveness with ex-cons such as shoe bomber Richard Reid, who attended the Finsbury Mosque after his release from prison. Finsbury was one of the places that Choudary was allowed to preach his message of hatred and intolerance to all things non-Muslim. Many of his converts are already in prison for committing terrorist acts. WHO'S TEACHING THE CLASS ? 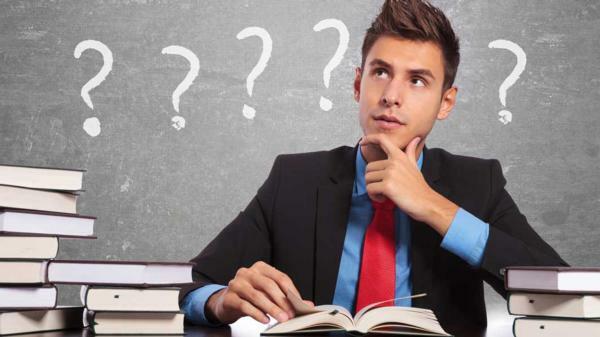 Ask any successful individual, "who was one of the most influential people in your life?" and very often the answer is a teacher. A good teacher can make all the difference in the world to an aspiring learner. But a bad teacher can have a disastrously adverse effect. Such may be the case in Nashville, Tenn. where Davidson County Sheriff Daron Hall recently announced that he was partnering with the American Muslim Advisory Council (AMAC) to provide an instructor to lead a class called "Islam 101" that will be taught to correction officers and other prison staff. The Davidson County Corrections Department has about 800 personnel and an inmate population that exceeds 2,000 offenders on any given day. With a captive audience of that size, it is vitally important to know what is being taught and who is doing the teaching. AMAC grew out of a project, called the "Muslim Rapid Response Team," which was initiated by the Tennessee Immigrant and Refugee Rights Coalition (TIRRC). The rapid response team was formed to provide vocal opposition against an anti-terrorism bill being considered by the Tennessee Legislature. The bill, sponsored by Senate Republican Caucus Chairman Bill Ketron of Murfreesboro and House Speaker Pro Tempore Judd Matheny, R-Tullahoma, sought to enhance law enforcement capabilities in preventing terrorist attacks by converted jihadis in Tennessee. 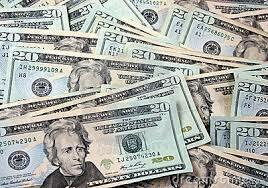 The bill targeted people who provided aid or material support to the individual committing the terrorist act. This bill was offered in response to the 2009 attack by Carlos Bledsoe on a recruiting station in Arkansas which killed Pvt. William Long and wounded Pvt. Quinton Ezeagwula. Bledsoe, who was from Memphis, was raised as a Baptist before converting to Islam in 2004 at Masjid As-Salam in Memphis. Another incident motivating the Tennessee legislators was the February 2011 arrest of Khalid Ali-M Aldawsari for conspiring to blow up former President George W. Bush's home in Texas. Aldawsari had come to the United States from Saudi Arabia on a student visa and attended Vanderbilt University while living in Nashville. That AMAC would oppose any law that would seek to protect the citizens of Tennessee from terrorist attacks by jihadists is disturbing. Putting the group in charge of teaching its version of Islam in the prison environment is alarming. Since 9/11, prison radicalization has produced numerous people hoping to go to paradise, willing to kill innocent men, women, and children in the name of Allah. That group includes people like Jose Padilla, Michael Finton, Kevin James, James Cromartie and more. 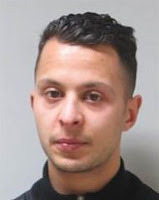 In Europe, the perpetrators of the recent attacks in Brussels, Copenhagen, Paris, and Toulouse were radicalized while incarcerated for petty crimes. 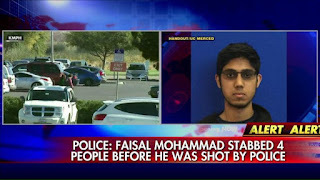 Investigators found that one of the radicalizing agents in the process came from clergy and religious volunteers holding extremist views of Islam, who had not been properly vetted by law enforcement. This development first came to light with the exposure of Warith Deen Umar, former head Islamic chaplain of the New York Department of Corrections, where I had worked for over 26 years as the deputy Inspector General in charge of the Criminal Intelligence Division. Umar was also a U.S. Bureau of Prisons chaplain. In 2003, he gave an interview to the Wall Street Journal, in which he called the 9/11 hijackers heroes and martyrs. He went on to say that prisons were "the perfect recruitment and training grounds for radicalism and the Islamic religion." 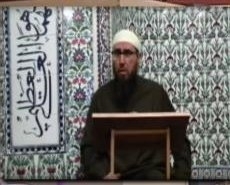 Umar also was an official in the Islamic Society of North America (ISNA), a Muslim organization which sought to be the certifying body for Islamic prison chaplains in the United States, but was rejected by the FBI because of its connection to the Council on American Islamic Relations and the 2007 Holy Land Foundation terrorist financing case. The Holy Land investigation unequivocally established that funds from Muslim organizations in the United States were being funneled to Hamas, an Islamic terrorist organization. Tennessee's AMAC is an affiliate of the Islamic Network Groups, whose founder and CEO Maha El Genaidi previously advised American Muslims not to talk with FBI agents without an attorney present, and to contact CAIR or MPAC of any investigative inquiries. This type of response to legitimate law enforcement activity was also seen on a CAIR poster depicting federal agents as dark sinister shadows with the caption, "Build a Wall of Resistance." Resisting law enforcement activity when it comes to radical Islamic terrorism seems to be a long standing philosophy in these organizations. 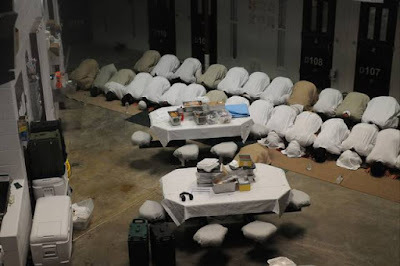 Sheriff Hall and the Davidson county officials should follow the lead of fellow Tennessean Stephen Fincher before allowing the AMAC teach Islam 101 in their correctional system. Fincher, a three-term congressman from Tennessee's 8th congressional district, recently introduced a bill (HR 4285), the "Preventing Terrorism from Entering Our Prisons Act." It would mandate the thorough screening of volunteers and religious workers for terrorist links before granting access to any prison. This was also the recommendation of the DOJ's Inspector General in 2004.. Failure to implement this requirement, the IG noted, would only exacerbate an existing problem. Allowing Islamic clergy into the jail without proper vetting is akin to putting the fox in charge of the hen house. And we all know how that story ends. "Jail wise" terrorists game the system in order to continue their radical activities behind bars, IPT Senior Fellow Patrick Dunleavy writes. 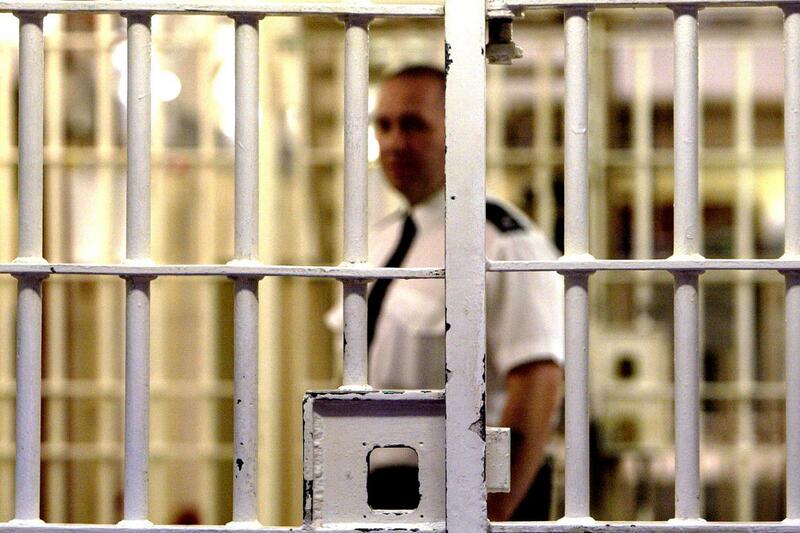 Even now, prisons have no systems to counter the inmates' radical ideology. 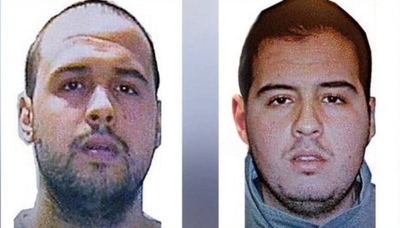 Belgium this week, the individual responsible for the recent terror attacks in both Paris and Brussels that killed over 150 people was known to prison officials as a model inmate and is being called "a very good boy." Located at the al-Ha'ir prison outside of Riyadh, inmates can look forward to lavender walls, red carpet, queen size beds, a refrigerator, television and private showers. There is even an ATM so inmates can draw from their commissary accounts which the government replenishes every month. Married inmates are entitled to monthly conjugal visits with fresh linens, tea, and sweets provided on the nightstand. The Wahhabi/Salafist teachings prominent in Saudi Arabia allow men to have up to four legitimate wives, so inmates can actually get a wife to visit once a week. 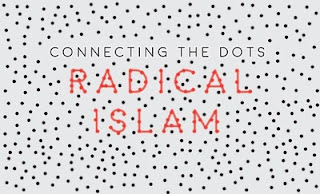 The de-radicalization philosophy there is to see the terrorists as misguided, or simply suffering from an ideological sickness which can be easily corrected with the proper treatment. Sounds simple and extravagant. We often hear the line from a Robert Burns poem, "The best laid schemes of mice and men, often go askew," invoked when someone's grandiose plans blow up in one's face. That may be what we're in store for if President Obama's recently announced plan to close the prison at Guantanamo Bay and place terrorists on U.S. soil is able to proceed unilaterally without congressional approval. This time, the danger in the plan is to the American people. Slowly over the years he has been in office, Obama has released numerous terrorists to other countries without adequate provisions to prevent them from returning to the battlefield against U.S. soldiers and civilians. 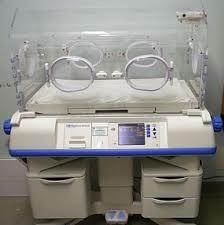 One recent case is that of Ibrahim al Qosi. He was a member of al-Qaida and a personal aide to Osama bin Laden who was released from Guantanamo in 2012 and sent to Sudan. He recently appeared in a video as a spokesperson for al-Qaida in the Arabian Peninsula (AQAP). In the video, "Guardians of Sharia," he calls on people to commit acts of jihad. Clearly his time in Guantanamo did nothing to rehabilitate him. He is the classic recidivist. The fact that ex-cons often get released from prison neither rehabilitated nor transformed is nothing new. Recidivism rates for common criminals continue to be an issue for sociologists and criminologists to explore. However, how to effectively prevent the phenomenon of a captured terrorist coming out of prison and returning to fight in the jihad is relatively unknown to law enforcement and counter terrorism experts. A recent Congressional Research Service report announced that as many as 100 inmates convicted of terror related crimes will be released in the next five years. When faced with the question of rehabilitation strategies for those terrorists about to be released, John Carlin, the Justice Department's Assistant Attorney General for National Security, said, "There are [rehabilitation] programs for drug addicts and gang members. There is not one [program] with a proven track record of success for terrorism." Which brings us to the administration's plan to close the Guantanamo detention center, something it cannot do without congressional approval, by either releasing detainees to other countries or by transferring them to the U.S. Bureau of Prisons. Both options are dangerously foolish and fraught with peril. 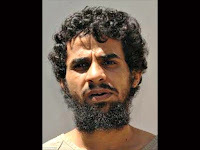 Releasing terrorists to a neutral country does not ensure that they will not be able to travel or reconnect with former jihadist associates, as Ibrahaim al Qosi did. Placing them in the Bureau of Prisons will not restrict them from influencing other inmates to their cause. Case in point: John Walker Lindh, otherwise known as the "American Taliban," who was captured in Afghanistan fighting alongside al-Qaida, is one of the 100 inmates to be released from a U.S. prison in the near future. Lindh recently won a lawsuit filed in federal court challenging the BOP's authority to restrict his movement and interaction with other inmates. He is now allowed to co-mingle with other potential jihadists at least five times a day. The fact that he was chosen by the other inmates as their spokesman and amir – the leader of the inmate Muslim community – demonstrates his influence. The president's plan to close Guantanamo lacks any specificity about where the remaining terrorists will be housed. That type of vagueness is fraught with danger to the American people. Congressional leaders must take firm decisive action to stop the president's plan to close Guantanamo. 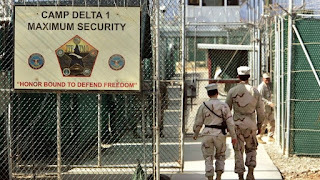 Captured or convicted terrorists must be kept behind bars in their current location, Camp Delta in Guantanamo Bay. The administration's current "catch and release" program in the war on terrorism simply is not working. 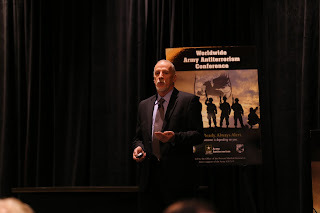 On February 3rd of this year, Patrick Dunleavy, author of "The Fertile Soil of Jihad" spoke to attendees of the Annual Army Worldwide Antiterrorism Conference in Orlando, Florida. The event was hosted by the Office of the Provost Marshal General. 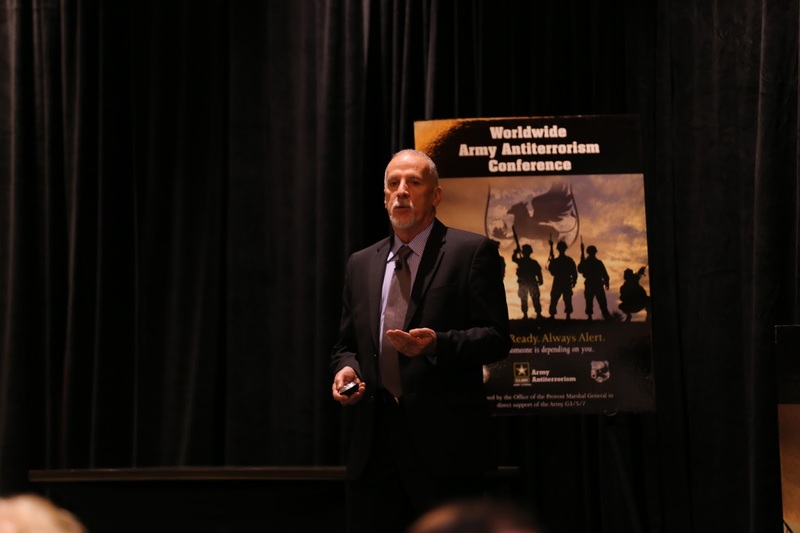 The theme of this year's conference was "The Evolution of Antiterrorism." alluding to the fact that cell phones have become the number one contraband item in the U.S. prison system, and that ISIS presently uses social media to both attract and direct radicalized individuals . 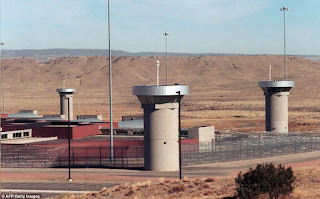 In regard to the future of the threat, Dunleavy referred listeners to a recent Congressional Research report that stated within the next five years approximately 100 hundred inmates convicted of terrorist related crimes will be released from prison. The latest detainee to be released from the Guantanamo Bay prison camp was considered a high risk Al Qaeda loyalist and recruiter as recently as 2014, but was deemed to no longer pose a risk to the U.S. before being freed Monday, as the Obama administration continues to empty the prison of terror suspects. Muhammed Abd Al Rahman Awn Al-Shamrani, a member of Al Qaeda, was released from the U.S. detention facility at Guantanamo Bay, Cuba, to the Saudi Arabian government, the Department of Defense announced Monday. The U.S. government "determined continued law of war detention of Al-Shamrani does not remain necessary to protect against a continuing significant threat to the security of the United States," the Defense Department said in a statement. Independent terrorism experts say detainees like Al-Shamrani will amost certainly return to a radicalized life aimed at harming the U.S. and its allies. "He’s like a poster boy. 'I survived Gitmo – you can, too,'"
Dunleavy, who is the former deputy inspector general for New York State Department of Corrections, said Saudi Arabia's rate of recidivism for known terrorists like Al-Shamrani is somewhere between 20 and 30 percent -- even with rehabilitation programs. 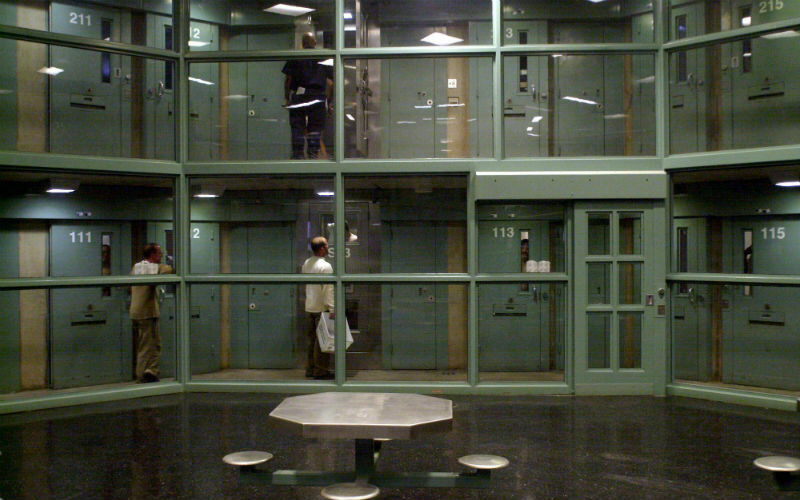 The Justice Department, he said, estimates the recidivism rate as "upwards of 60 percent." "Even if we say conservatively that one-third of these terrorists return to the battlefield, that is alarming," Dunleavy told FoxNews.com. "The defense experts looking at him said he was not only on the battlefield, but was considered to be a recruiter. So now we’re putting a known recruiter back into the mix." Thursday's announcement that the New York Police Department (NYPD) will settle a lawsuit filed by Muslim activist groups is unsettling and confounding. With Islamic terrorist acts on the rise globally and the FBI stating that it has as many as 900 open cases on individuals suspected of being ISIS operatives, it is beyond reason that NYPD would cave to the demands by a select group to impede investigations in potential terrorist cases. The department was accused of singling out the Muslim community for surveillance and undercover operations in a post 9/11 world, as if that was some sort of abnormal behavior by law enforcement. The original suit, brought by several Islamist activist organizations, included the Muslim Students Association and the Muslim Foundation, accused the NYPD of violating their civil rights through a program which including surveillance and intelligence gathering of the Muslim community in New Jersey. It was tossed by U.S. District Judge William J. Martini in February 2014. Then, the Third U.S. Circuit Court of Appeals reinstated the lawsuit last October. Now, in an attempt to placate a small, though noisy group of complainers, Mayor Bill De Blasio and Police Commissioner William Bratton have acquiesced to demands that the police treat with kid gloves a select community. Why? What specifically did the department do in investigating radical Islamist threats that differed from other criminal investigations that led to this surrender by city officials? Nothing! This decision by the mayor and the NYPD was made in the climate of political correctness rather than according to well-established law enforcement practices. Surveillance and undercover operations have long been effective tools in fighting crime. When police were investigating the Mafia and organized crime, for example, the Italian community was assessed, examined for structure and hierarchy and highly scrutinized. Similarly, when Colombian drug cartels were investigated for cocaine distribution, the Hispanic community was the focal point. If Islamic terrorists use local mosques to further their plotting of heinous acts, as in the case of the 1993 World Trade Center bombing, then why should the Muslim community be exempt or require special procedural protocols by the police before investigating? The specifics of the surveillance and intelligence gathering program, which included community outreach, surveillance, and undercover operations was both lawful and effective. NYPD knew that many participants in the first World Trade Center attack and other plots frequented mosques in the greater New York / New Jersey area. That fact is indisputable. As the former deputy inspector general of the New York State prisons' criminal intelligence division, I was assigned to work with the NYPD Intelligence Division from 2002-2005 in this program. I can confidently state that the program was neither biased nor harmful to individuals or organizations. Rather, it was a proactive protective service on behalf of the people of New York who had witnessed first-hand the atrocities of Islamic terrorists. It kept the city safe. An exhaustive NYPD report, written by Mitchell D. Silber and Arvin Bhatt, "Radicalization in the West: The Homegrown Threat," is a necessary tutorial for all law enforcement organizations seeking to understand how an individual is moved to Islamic radicalization. The city's agreement to delete it from the department's website as part of the settlement is a blatant act of cowardliness. Seeing the NYPD and city officials caving in to the demands of a few is most disheartening. Perhaps the tool most needed in fighting radical Islamic terrorism in 2016 is going to be a backbone. America’s federal prisons have become a “breeding ground” for radical Islam, warn critics, who say imprisoned terrorists are more likely to spread their beliefs than renounce them. As law enforcement authorities lock up more home-grown terrorists, experts are warning the success could turn sour if jailhouse jihadists are allowed to infect fellow inmates. Prisons have long been criticized for a culture that can make some inmates more dangerous than when they entered, but the possibility that typical felons could become lone wolf terrorists upon earning parole is a disturbing new wrinkle. The aggressive recruitment of Americans by ISIS has resulted in a spike in domestic terror-related convictions. Some 71 people are imprisoned in the U.S. on ISIS-related charges, including 56 individuals arrested in 2015, the most terrorism arrests in a single year since September 2001, according to George Washington University’s Program on Extremism. n addition, the FBI has said it is currently conducting more than 900 investigations into ISIS-linked radicalization, including cases in all 50 states. 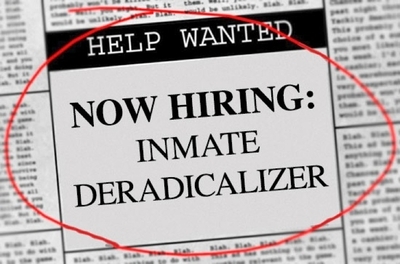 There are hundreds more federal inmates serving time for terrorist activities related to other terror groups. An estimated 100 are scheduled for release in the next five years, according to the Congressional Research Service. Still more terror suspects could be transferred to U.S. prisons from Guantanamo Bay in the coming months. “We have never been faced with such a large number of terror inmates before,” said Rep. Peter King, R-N.Y., during a recent Homeland Security Committee hearing on countering violent extremism in prison. King and others say the federal Bureau of Prisons must do a better job of monitoring and, if necessary, isolating inmates who could radicalize others behind bars. Dunleavy, a retired deputy inspector in the criminal intelligence unit of the New York Department of Correctional Services, said criminals have been radicalized in prisons for years, and predicted it will only get worse. He cited Chicago gang member Jose Padilla, who converted to radical Islam while doing time in prison in the 1980s, and was later accused of plotting to set off a radiological “dirty bomb” in the U.S. He is now serving a 21-year sentence for conspiring to commit acts of terror overseas. More recently, ex-convict Alton Nolen was arrested in a September, 2014 attack at his former place of employment, a food processing plant in the Oklahoma City suburb of Moore. Nolen, who is awaiting trial, allegedly beheaded a 54-year-old female worker while yelling Islamic slogans. Dunleavy believes Nolen converted to Islam while serving time in an Oklahoma prison after attacking a police officer in 2010. In between Padilla and Nolen, Dunleavy says there were “scores of others” who became radicalized in state and federal prisons, either by listening to fellow inmates or hearing sermons on contraband devices smuggled into prisons and shared.